You cannot write off the mortgage you pay on a rental property. 3. Can I Claim Required Flood Insurance on Income Taxes? When you own and rent out rental property, you will have rental income and expenses to report on your income taxes. 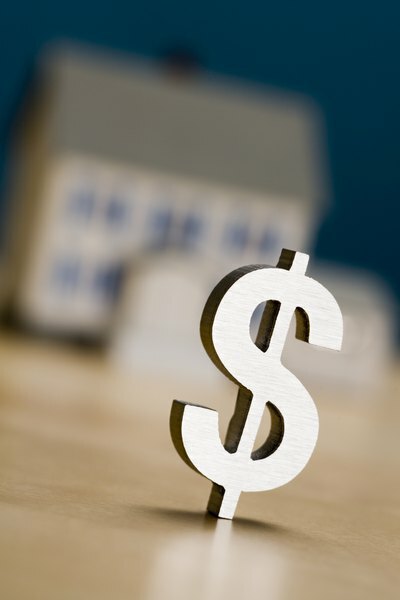 Expenses on a rental property reduce rental income dollar-for-dollar. The difference between the rent collected and mortgage paid on an rental property is irrelevant because only a portion of the mortgage payment is tax deductible. Because you will most likely recover mortgage payments when you sell the property, you cannot write off the mortgage you pay on a rental property -- but you can claim the portion that represents mortgage interest, property taxes and mortgage insurance premiums. How you write off these expenses depends on whether the property is a rental property or second home. When you purchase property that you do not plan to use as your main home, the property is either your second home or a rental property. A second home is a residence that you occupy for part of the year. To qualify as a second home for income tax purposes, you must occupy the property for 14 days or 10 percent of the days you rent out the property, whichever is longer. For example, if you rent the property for 200 days, you must occupy the property for at least 20 days to claim the property as a second home. If your property meets the criteria of a second home, you must claim the mortgage interest, insurance premiums and property taxes as a personal deduction on your personal income taxes. If the property does not meet the criteria, the property is a rental property, and you must claim the mortgage interest, insurance premiums and property taxes on your business taxes. When you rent out a property, you will incur certain expenses that you can write off on your taxes. Regardless of whether the property is a rental property or second home, you must include your rental income and expenses on your business tax return. Expenses that you can claim on your business tax return include depreciation, repairs, advertising, taxes, cleaning, maintenance and insurance premiums. If the home is considered a second home, you can only claim the expenses during the times the house was available for rent. For example, if you and your family occupied the property from April through July, you cannot claim the expenses for those months. To claim your rental income and expenses, you must use Schedule E and Form 1040. If the property is considered a rental property, report the mortgage interest, insurance premiums and property taxes on Schedule E. If the property is a second home and you itemize your deductions, report the mortgage interest, insurance premiums and property taxes on Schedule A. If you do not itemize, you cannot claim the expenses on your business or personal taxes.